Retirementor, Colleen-Joy Page, reminds us that Play can help us find our Purpose. If 20 people see a sunset, why can’t all 20 see its beauty? Is the sunset giving more beauty to only some? Often, we don’t give ourselves permission to see life’s beauty or to free the natural playfulness within us. Sometimes we think life has taken joy from us, or that we can only have fun under certain conditions. But, remember the child within you: rediscover the joy of simple things: the feel of sunlight on your skin, the joy of dancing with abandon, or the night stars, as you lie on the cool grass and breathe in the awe of the cosmos. Sometimes if we are willing to drop our expectations, and see with the innocent fresh curious eyes of a child, we can find fun and joy in any moment. Ask yourself: “What do I really feel like doing right now?”. What answers would free you to play? Don’t be a tourist to your own life; let beauty, joy and play be free within you to fill all the empty spaces. 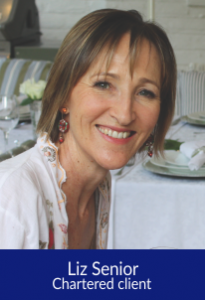 Retirementor, Lynda Smith, coaches her clients to define their passion and talents. 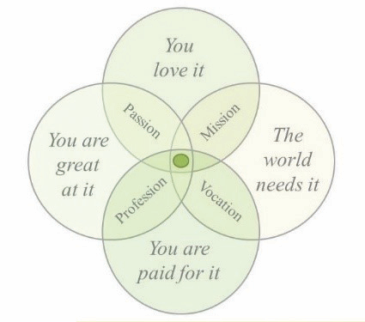 She uses this diagram helps them to craft a new kind of work. “It is critical to experiment and plan – think of all roles your portfolio life might include: consulting, volunteering, Board member, mentoring, a whole new enterprise, collaborating,“ Lynda says. 1. Create your Individual Vision List of goals to achieve, dreams to fulfil, experiences to have. Prioritise the 10 most important ideas on your list. 3. 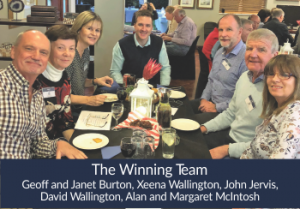 Create a shared vision based on both lists. Figure out a flexible timeline. 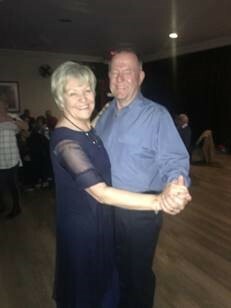 Our clients, Brian and Ronelle Baker, were surprised that their second foray into learning to dance was so different to their first. Now they are having fun, keeping fit, learning and growing their relationship at the same time. You can find their story by clicking here. Why not try a new area of learning and fun for yourself? Our wellness Retirementor, Joni Peddie, reminds us how essential daily health habits are to maintain physical flexibility. Feeling tense and depleted at the end of a day doesn’t have to be the norm. Try stretching (in a subtle or deliberate way) every hour – it’s a great way to release stress and ground yourself. Stretching relaxes your muscles and increases blood flow throughout your body. Giving Back … to the world! 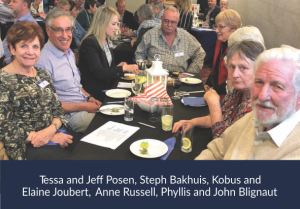 Retirementor, Jeunesse Park, blogs about ways in which we can give back, especially to create a legacy for the next generation in preserving our planet, and protecting the dignity of every person. 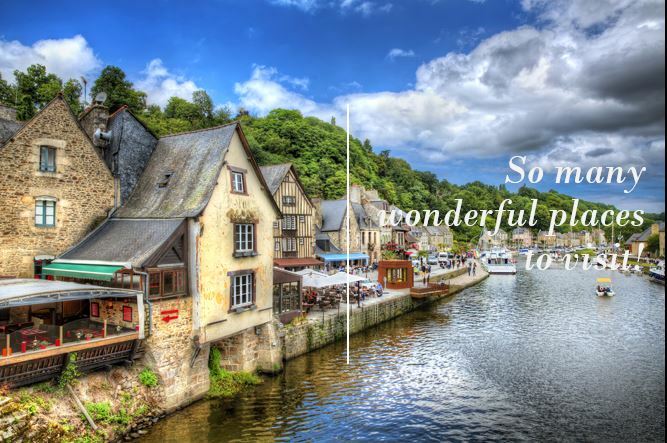 Taking time to see the beauty all around … And to hear it! 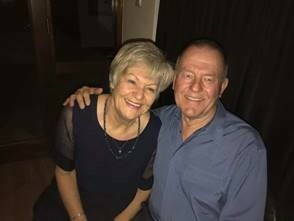 Chartered Wealth Solutions clients, Cecilia and Ralph Auret, travelled to Cape Town two weekends ago, to listen to a mass Church choir. On the way, the Arets saw beautiful snow on the mountains – a Spring surprise! And, in Houtbay, they savoured the best fish. The highlight, though, was the choir. Cecilia and Ralph’s trip is testimony to the principle of finding joy in ordinary things, as advocated by Ingrid Lee Fetell in her extraordinary TED Talk. (Don’t miss the takeaways from that TED Talk in this newsletter – and you can click through to listen to the whole talk … it is well worth the standing ovation she received!). When in France … for the World Cup! 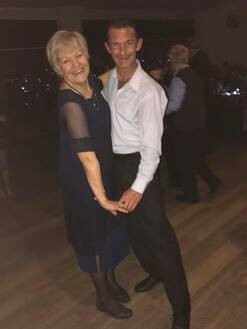 For those of you who follow the travel diaries of our clients, Norma and Rhys Rolfe, you will not be surprised to find that they have been on the move again in their motor home. Not only tourists this time, they are also cat, dog and garden caretakers. We have just returned to the UK, before the ferries and Chunnel were closed because of the heat. The temperatures and dryness were quite debilitating, and Normandy and the UK look like the Free State in winter. Things have cooled down now which is quite pleasant. We arrived back in time for the families to depart on their holidays, while we look after gardens, cats and dogs … it is quite useful to have old folks around sometimes! I must say, we do enjoy staying in a six-bedroomed house on our own after six weeks in the motor home. We are not complaining, though. 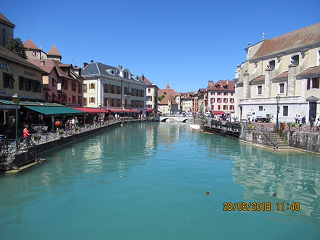 We had a wonderful six weeks in France, big and beautiful with a cosmopolitan population of very friendly people. Watching part of the Tour de France was certainly interesting – one does not get the full impact on television. The passing parade lasts for about three hours, and the cyclists pass by in a blurred flash. Watching the World Cup Football final in a pub was most interesting, especially with France winning. It was a little like South Africa winning the rugby World Cup in 1995. 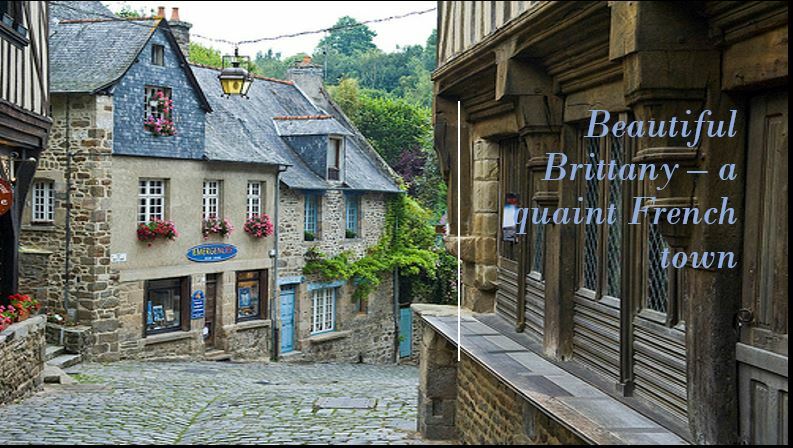 We found Brittany most interesting and enjoyable and plan to go back again next year. It is a section of France we have day-passed to a large extent to date: it is out on a limb (a little like Wales in that they have their own language and dialect). When their family returns home to the UK, the Rolfes are off again … this time, to Ireland. No doubt we will receive wonderful accounts of their adventures on the Emerald Isle. 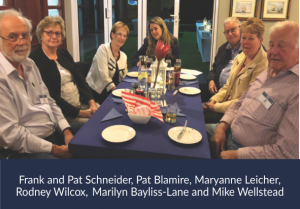 Chartered clients, Norma and Rhys Rolfe, have clearly been bitten by the travel bug, and have spent the better part of their Retiremeant™ travelling the globe. 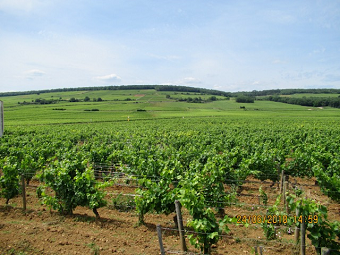 Here is their latest update, from Burgundy, in the land famous for the Eiffel Tower and romantic assignations. As we continue to enjoy our sojourn around France in record-breaking heat, we enjoy the memorable sites of beauty and interest. France is undoubtedly a country for travelling, eating and drinking. With a population of 66 million (equivalent to the UK) and a country three times larger, driving in France is a pleasure. We did so enjoy our week in Paris and Versailles but are now getting great pleasure driving through the little villages and the countryside. The little hillside town of Vezelay, with its narrow winding streets and interesting shops, was indeed picturesque. The Bascilique St Madelaine on the top of the hill is a UNESCO site and one of the starting points for the Camino de Compostela. This was obviously interesting for us having walked part of the Camino. A Basilica is an oblong type of building with a central nave and isles, with a slightly raised platform and an apse at one end. The naming of such a church is granted by the Pope. Beaune, pronounced Bone, is the capital of the Burgundy wine-growing area and is a beautiful walled town. The walls have been preserved as they house wine cellars. Lake Annecy, the town, and surrounds are most attractive and very popular tourist destinations. We had some lovely rides on our bicycles, and our behinds have taken some punishment. 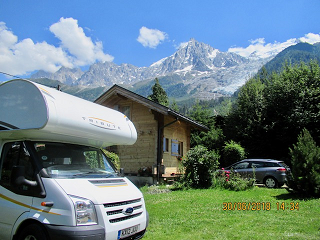 We now have a lovely camp site looking out to the Alps and Mont Blanc. What a privilege to be able to enjoy such a beautiful place in perfect weather. “Two hours once a week is nothing in a retiree’s life (or semi-retiree’s, in my case). 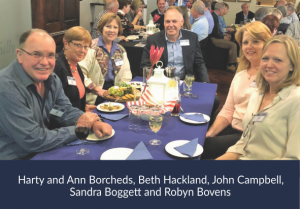 The other tutors have, like me, had an excellent education and satisfying careers, and now see this as a way to encourage learning as a way for the children to have a great future,” says Roy. After returning from some expat work (as a geologist) in West Africa, there were few opportunities for my skill set in the local mining industry, so I decided to look at what else I enjoyed, which was teaching. I enrolled in and completed a TEFL (Teaching English, Foreign Language course). I started looking for opportunities and came across the Link Literacy program, and instead of teaching English, I ended up being part of, and now managing, one of the Numeracy classes, at the Melville branch. I believe that every child has the potential to be the best that they can be, and often don’t reach their true potential because of lack of adult support. 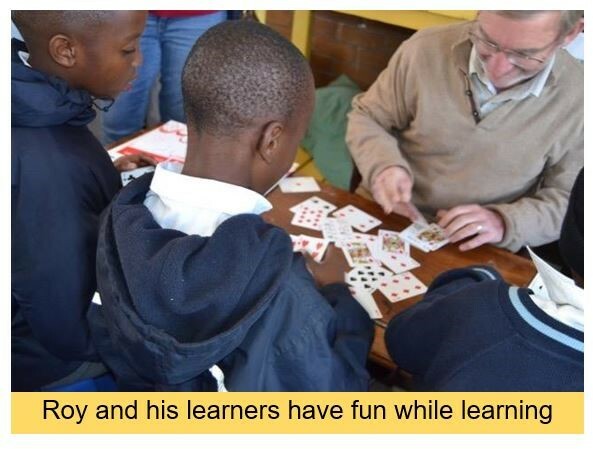 The 45 minutes twice a week that the volunteers spend with each of the children has been shown to enable them to grasp the basics of Numeracy, as well as to show them that numbers are not only important in life but can be fun. We work with Grade 2 and Grade 3 children, and the feedback from their regular teachers has been very encouraging. Currently, we have 3-4 children to work with, and would love to see more volunteers to come on board, so that we could get to the one-on-one that the Literacy classes are achieving. 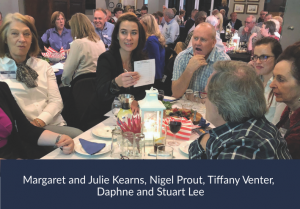 South Africa can have many more successful numerate people and we all believe that this is really a worthwhile cause to give back to, and an opportunity to themselves learn. There are various centers around Johannesburg, all following the same programme. If you would like to see us in action, please feel free to pop into a session – watching a bunch of non-teachers (mostly) and a class of 8 and 9 year olds is something to see! 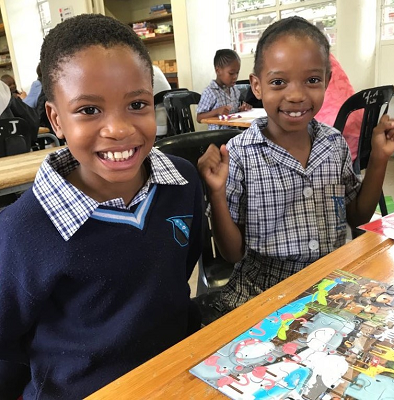 The Link Literacy programme currently operates at 15 schools across Johannesburg, including in Midrand, Parktown, Norwood, Orange Grove, Fairland, Bedfordview, Edenvale, Melville. 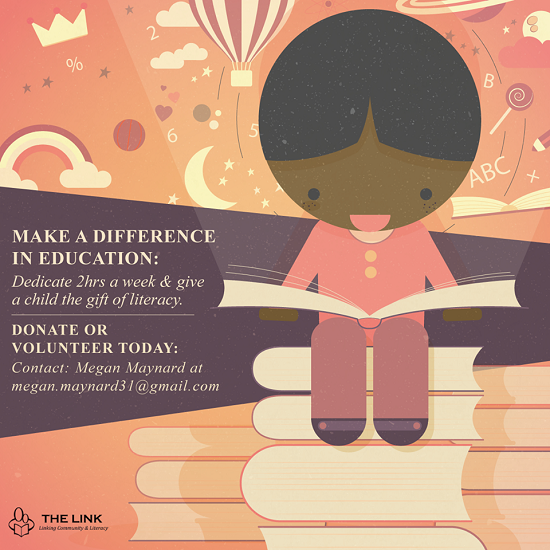 Why not embark on your own journey of learning … to help others learn?